The increasing complexity of the world of technology and the technical components surrounding humans increases the need for ergonomic measures. However, these activities often have only a corrective character, and therefore, despite (or perhaps because of) the possibility of computer support, their results are not satisfactory. When solving problems, very often it is difficult to give up the well-worn strategies or hypotheses, even though they turn out to be ineffective. During the design process a specific attitude is formed towards a certain kind of conduct, which certainly makes it difficult to adopt new and effective strategies, which in turn inhibits creativity. Moreover, it appears that in many cases a functional solution is not determined by a systematic evaluation of all possible solutions, and the initially adopted concept’s primary reasons often have been removed. Therefore, in this article, it was decided to take on the subject of the possibility of using heuristic methods in ergonomic design. 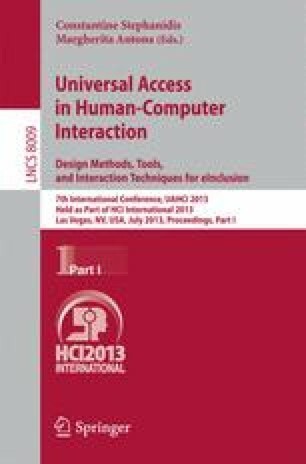 In the article, described is the use of specific methods and design situations requiring a new approach. Also presented are the limitations of heuristic methods for ergonomic design and the possibility of their fusion in typical design processes.